Councils need to commit to long term funding to see progress with the UK’s pothole crisis, according to road safety charity IAM (Institute of Advanced Motorists). A motorist on the M25 at Swanley was clocked speeding at 149mph – the highest speed recorded by a speed camera in England and Wales between April 2013 and May 2014. A driver was clocked speeding at 139mph on the A96 in Scotland, figures obtained by road safety charity the Institute of Advanced Motorists (IAM) show. The Institute of Advanced Motorists (IAM) has produced a league table of the amount of money allocated by government to each local authority on road improvements over the last five years in England. Britain’s two worst speeders were caught at 146mph on the M25, according to statistics released by the Institute of Advanced Motorists (IAM). A motorist from Lewisham has racked up 40 penalty points for 12 offences despite never having held a full or even a provisional driving licence, according to information obtained by the Institute of Advanced Motorists (IAM). Nine people in Scotland have been caught speeding by safety cameras at more than 120mph, according to information obtained by the Institute of Advanced Motorists (IAM). The Institute of Advanced Motorists (IAM) has called on the next government to make road safety and the tackling of potholes a top priority. The Institute of Advanced Motorists (IAM) has called for greater driver education on the use of smart motorways. Four people in Wales have been caught speeding at speeds in excess of 120mph – with one being caught at 136mph in 2014. 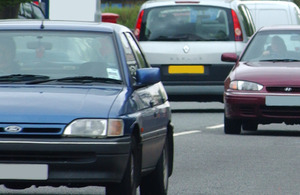 A study by the The Institute of Advanced Motorists (IAM) has discovered that more than 40 per cent of all motorway and major A road lane closures in England last year were caused by vehicle breakdowns. Figures released by the Department for Transport (DfT) show that there has been an increase in overall road casualties in Britain for the first time in 18 years. Nine per cent of motorists admitted to taking a selfie while driving ‘in the last month’, according to statistics released by the Institute of Advanced Motorists (IAM). The Institute of Advanced Motorists (IAM) has called for road safety targets to be reintroduced in an effort to reverse the increase in numbers of people killed and injured on UK roads as announced today (24 September) by the government. Speeding is still the top road offence in this country, according to figures obtained by the Institute of Advanced Motorists (IAM). Technology and social media provide the biggest distraction to drivers, according to the Institute of Advanced Motorist’s (IAM) first major survey into safety culture. Penalty points on driving licences are costing UK motorists over £132 million a year in higher insurance premiums, according to new research by the Institute of Advanced Motorists (IAM) and MoneySuperMarket. 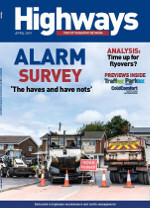 A number of county councils across England are making pothole repairs and road maintenance a top priority, according to research carried out by the Institute of Advanced Motorists (IAM). Five drivers have been caught speeding at more than 100mph on 30 and 40mph limit roads in England, according to the Institute of Advanced Motorists (IAM). New research suggests that the majority of motorists want to retain the right to drive despite the fact that driverless cars are coming. £38,799 - £41,706 p.a. inc.